She also emphasized the possible role played by initiations, apprenticeships, and elaboration through debate (Barton, 1994, p. 142). 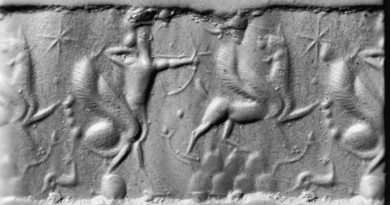 Anyone familiar with ancient Hellenistic and Persian astrological texts will note that there is quite a large range of variation in terms of techniques and special methods. Different astrologers did things a bit differently. Many astrologers communicated the same basic principles, but then stressed them differently in their chart work. For instance, in Valens and Maternus we find a strong stress on sect as an important force for evaluating goodness in all delineations. By contrast, in late Persian authors sign-based “dignity” becomes more prominent. Emphasis: Prediction, Delineation, or Principles? Different astrologers focused on different overall approaches to the chart as well. Valens was mostly interested in predictive techniques and longevity. He presented more example charts than are typical of Hellenistic texts. Maternus was mostly interested in natal delineation. Ptolemy wanted to re-invent astrology as part of Aristotelian physics. He evaluated topics based on the natural significations of the planets, and tried to avoid using houses and lots. Some astrologers, including Serapio and Porphyry, appear to have mainly focused on basic principles without examples of their use in delineations or prediction. When astrologers explored more complicated matters, such as occupation, fame, personality, or longevity, they often presented totally different special techniques. Paulus Alexandrinus evaluated the indicator of professional skill in a very different manner from Ptolemy. Persian astrologers tended to evaluate personality based on the ruler of the Ascendant (first house) and on Mercury. However, Ptolemy didn’t consider the first house, and instead looked to Mercury, the Moon, and their rulers. Maternus relied on a unique chart lord technique for the matter of personality. Maternus also cited 4 or 5 other ways that his contemporaries would find a chart lord which he found less effective. The ancient astrologers were critical thinkers. Many of them were the premier natural philosophers of the age. For instance, Ptolemy’s modeling of the motions of the heavenly bodies and positions of the stars was very complex and the cutting edge for its day (2nd century CE). It was not superseded for over 1,300 years. These natural philosopher astrologers had a strong duty to know their “science”, i.e. the body of knowledge. However, we can assume that they based their “art” (i.e. practice) on their own empirical work. In other words, they seem to have felt that prior astrologers, their “ancients”, had something important to say that should be studied and worked with, However, they didn’t feel one should just attempt to imitate them or that some “historically accurate reproduction” of their practice was a possibility. I feel that this contrasts sharply with both modern and traditional astrological practice in the modern era. Unfortunately, most modern astrologers are little interested in ancient science. They typically use concepts that were re-invented within the last couple centuries. It’s also common to see the use of modern astronomical definitions of what a “planet” is (based on orbital dynamics) rather than original astrological definitions of “planet” (a visible wandering star). Their techniques draw strongly on 20th century astrological inventors. This would be the astrology of the naive, where the origins of the science are of little importance. Astrology is almost completely re-invented to cater to modern disciplines like archetypal psychology. Of course, those modern astrologers that view astrology as more than mere entertainment may get involved in creating and testing hypotheses against charts. Many such astrologers are actively involved in organizations like the NCGR where research is important. However, overall there is a lack of respect for the ancients, the original authorities from which we inherited the system. Therefore, the basics used, and sometimes even tested, tend to have very little resemblance to Hellenistic astrology. Some positive attributes of modern astrologers include that they can be critical thinkers. Many disagree with authority are not afraid to tinker to improve something or come up with something better. If this group gets over their mistrust and misconceptions of ancient astrology, then some among them are likely to be the ones that can push it further. The opportunity exists for them to take the ingredients, together with today’s technology and abundant chart collections, infuse that with their critical thinking, creativity, and independent spirit, and produce truly amazing chart work. I should add that the misconceptions modern astrologers have about traditional astrology are often the fault of a traditional community which has mis-represented traditional astrology as homogeneous in its basicelements, techniques, and philosophical outlook. The community has also given the impression of a fatalist fundamentalism though that fatalism is by no means a necessary feature of Hellenistic astrology. Many traditional astrologers today tend to view ancient astrology as having an orthodoxy. This correct way of doing things is arrived at not by empirical work but by appeal to the proper authorities. It is true that through the Middle Ages and the Renaissance astrology did become more homogenized. By following astrologers of this period verbatim, one has a ready appeal to authority. As these astrologers emphasized a subset of elements of earlier astrology, there is a tendency to cherry-pick from their earlier sources as if Renaissance astrologers practiced the same astrology as Hellenistic ones. Rather than a respect for authority, like the ancient astrologers had, we see an appeal to authority. In debates about technique, they will tend to cite authority rather than supporting and contrasting examples. They seldom realize the richness of the earlier tradition. One can actually practice astrology very differently from the way that they do and still be completely relying upon ancient principles and techniques. There is a draw with this group toward a few astrologers whose work emerged over 1,000 years after the traditional began. Names like Bonatti, Lilly, Morin have come to be the primary authorities of “traditional” astrology. This characterization ignores the fact that the quadrant house systems, aspect doctrine, absence of sect, and dignity weighting doctrine are central features of only the later tradition. These key features of the later tradition are marginal or absent from the first thousand years of the tradition. It may be tempting to view later astrological work as part of a refinement of astrology in its march of progress. However, in my experience with charts, this is not so. Even among Hellenistic astrologers, there is often a need to stick with the interpretation of the tradition by a given astrologer. 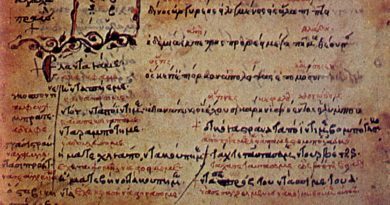 Particular astrologers advocate their own mix of preferred techniques, but too often it is represented as “the” Hellenistic astrology, rather than “a” Hellenistic astrology. This is clearest in reconstructions of the “the Hellenistic system”. Based on scant evidence an astrologer asserts that they can teach the original system, defining some terms and concepts along the way which were not widespread features of Hellenistic astrology. The implication is that Hellenistic astrology is already a corruption of another purer system, now lost, which they can teach you. These astrologers then become the new authorities to appeal to. To be a traditional astrologer you must be able to see through modern scientific triumphalist attitudes about knowledge and wisdom as well as religious fundamentalism. Therefore, it is somewhat surprising that traditional astrologers can so often be triumphalist and fundamentalist in their own approach. Do not confuse cherry-picking appeals to ancient authority with a respect for ancient astrology. There are countless means of approaching and assimilating the richness of traditional astrology. Simply appealing to a later approach does not do justice to the richness of the early texts. Nor does never moving beyond our teachers and authorities to explore the texts ourselves. Dig into source material, experiment with an open mind, and you’ll see the value of doing so. I do much to characterize “many” and “most” astrologers of different schools, and perhaps this is an unfair straw man. I’d like to think so, but it’s going to take a new breed of astrologers to break me from my tendency to stereotype when it comes to these matters. My own appeal to authority is a simple one, do as the ancients did: study the foundational astrological texts, and think critically, rationally, and empirically. 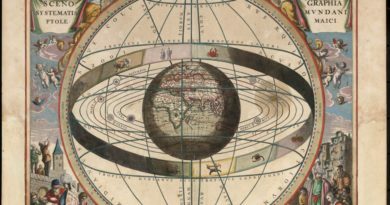 We should study ancient astrology thoroughly, and draw upon its rich set of vocabulary and techniques, but recognize that there is no single philosophical “right” understanding of astrology. We can distinguish a good practice of the art by its qualities of being consistent, coherent, and effective. It is separate from ancient science which is a vast pool of rich resources to draw upon. Questions? Comments? Please add to the discussion. Barton, T. (1994). Ancient Astrology. NY, NY: Routledge. 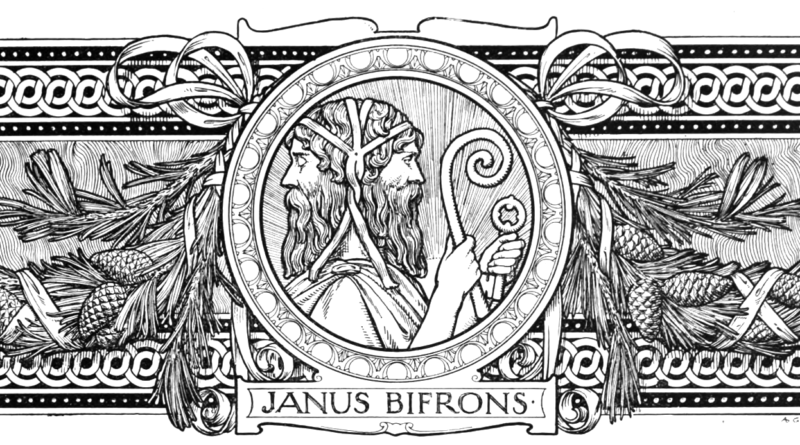 Featured image is Ornament for the month of January featuring the Roman god Janus by French illustrator Adolphe Giraldon (2014; public domain; cropped).